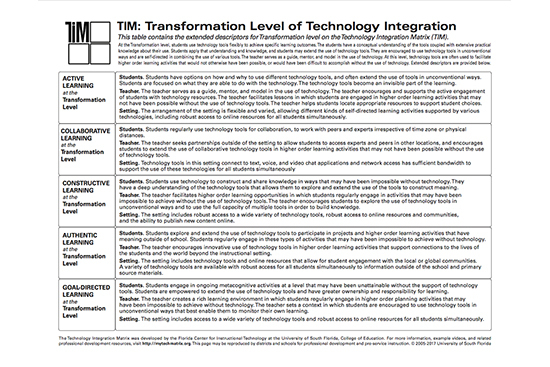 This PDF version of the Technology Integration Matrix is formatted for printing. 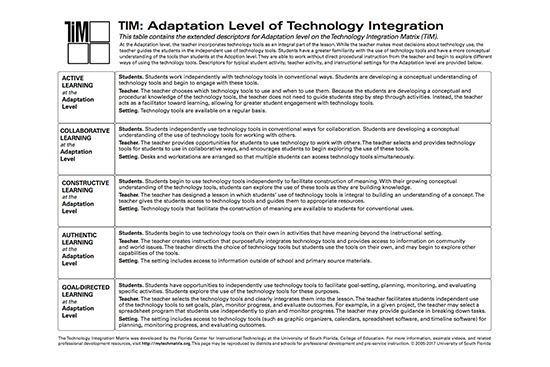 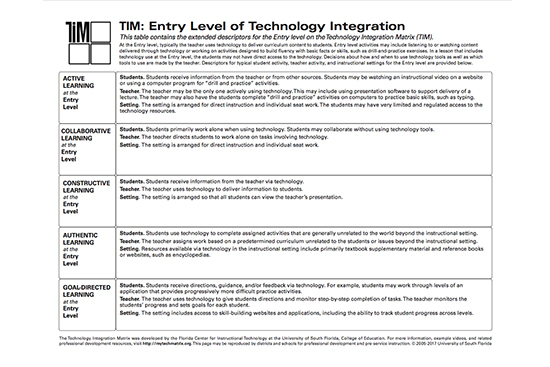 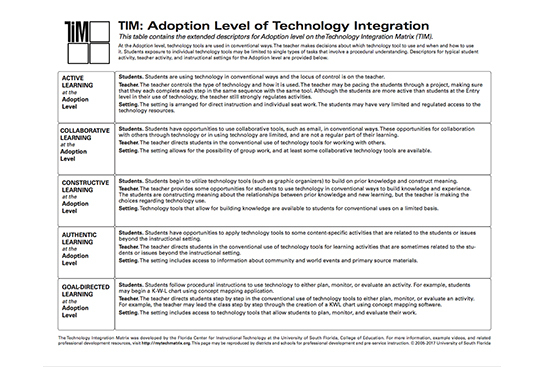 It includes the teacher, student, and instructional setting descriptors for each level of technology integration on a separate page. 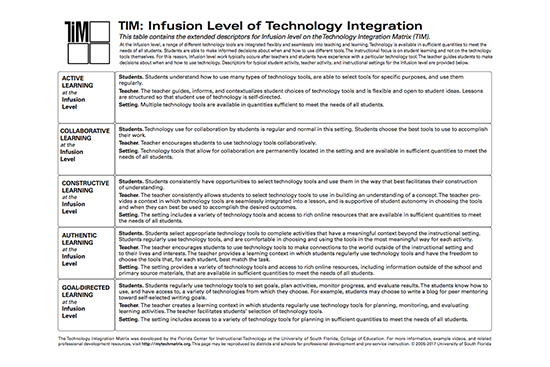 This five-page PDF is a compilation of the Table of Entry Level Descriptors, the Table of Adoption Level Descriptors, the Table of Adaptation Level Descriptors, the Table of Infusion Level Descriptors, and the Table of Transformation Level Descriptors.